Penryn Surgery own two local pharmacies. One is on site next to reception along with Hendra’s Pharmacy on Market Street in Penryn. We keep a wide range of competitively priced over the counter medicines and also vitamins and mineral supplements. Can the pharmacists provide treatment for any conditions? The pharmacists at Penryn Surgery are also able to see and treat patients under the Minor Ailment Scheme. Is Emergency Contraception available at the Pharmacy? The “ Morning After Pill” is free for people 25 yrs and under from Hendra’s Pharmacy, Market Street. It can be purchased for approx £25 if over 16 years of age from either pharmacy. For more information on this go to the Emergency Contraception page. How much do prescriptions cost? Where can I find a Pharmacy open Out of Hours or on Sundays and Bank Holidays? The pharmacies run a rota to provide services out of hours, on Sundays and Bank Holidays. To find out which pharmacy is open, search on http://www.nhs.uk/Service-Search/Pharmacy. Alternatively check the West Briton newspaper or a notice is displayed on every pharmacy entrance detailing the opening hours of all local pharmacies. Penryn Surgery is a Dispensing Doctor’s practice. This means we are able to provide prescribed medications to our dispensing patients at Penryn, Stithians and Mawnan surgeries. Dispensing facilities are available for most patients who live more than ONE mile (1.6km) from a chemist. You will be advised of your eligibility when you register as a patient or if you change address. Dispensaries can only supply medication from a prescription; we cannot provide over the counter medicines or items. If you have any problems, queries or difficulties, a dispenser will be available to offer advice or assistance. Please contact the Dispensary through the usual surgery number. If you have any queries please don’t hesitate to contact the Dispensary; if our trained and experienced dispensers are unable to help with your query, they will speak to the appropriate person to resolve your query. Our driver delivers to these sites once a day, Monday to Friday, (not including Bank Holidays). Patients who use this service can also leave their repeat prescription requests at the stores. If you are interested in our medication delivery service, please ask at the dispensary at either Penryn, Mawnan Smith or Stithians for an application and consent form. Certain medications are unsuitable for delivery and must be collected from our dispensary- you will advised if this applies. If you pay for your prescriptions or are exempt for paying, we will need payment or evidence of your exemption in advance of delivery. Penryn Surgery is able to provide free NHS vaccines for travel. We are also a Yellow Fever Centre. We are able to advise and vaccinate patients who are registered at other GP practices. Please enquire at reception for the current fee. 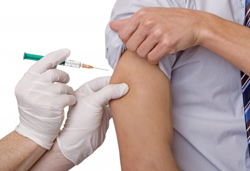 I am going abroad, what do I need to do about immunisations? Penryn Surgery can help with advice on travel health and provide all travel immunisations including Yellow Fever in our Travel Clinic. Please ensure to plan well in advance if you think you may need travel vaccinations or Malaria tablets, allow 6 to 8 weeks for your vaccine planning. You will need to have your first appointment at least 5 weeks before your departure date in order to give enough time to complete your course of jabs. 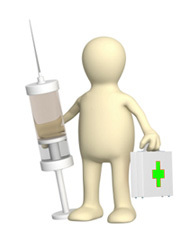 Some schedules of vaccines will require 3 visits to the travel clinic to complete the course and give full protection. Your last appointment will be 2 weeks before travel so full protection is in place before your departure. Enter your destination(s) and you will receive the latest advice on which immunisations are recommended and whether you need to take malaria protection. Please bring along information on your vaccination history to your first appointment. Am I going to have to pay for the vaccinations and malaria tablets? These vaccines are given free because they protect against diseases thought to represent the greatest risk to public health if they were brought into the country. Other travel vaccines and malarial protection may be recommended for travel to certain areas but these are not covered by the NHS. Payment will be required in advance of the vaccinations being given or the anti-malarials ordered. Up to date fees will be explained to you by our Travel Nurse at your first assessment appointment. Don't use your fingers or any objects like cotton buds to remove earwax. This will push it in and make it worse. Earwax usually falls out on its own. If it doesn't and blocks your ear, put 2 to 3 drops of olive or almond oil in your ear twice a day for a few days. 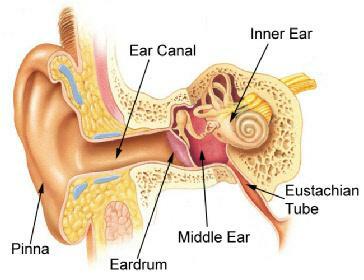 Over 2 weeks lumps of earwax should fall out of your ear, especially at night when you're lying down. There's no evidence that ear candles or ear vacuums get rid of earwax. Speak to a pharmacist about earwax build-up. They can give advice and suggest treatments. They might recommend chemical drops to dissolve the earwax. The earwax should fall out on its own or dissolve after about a week. Don't use drops if you have a hole in your eardrum (a perforated eardrum). you can book with a practice nurse for irrigation (which used to be called “syringing”). A machine is used to gently squirt warm water into the ears at a certain pressure to dislodge the wax and wash it out. You should not have ear irrigation if you are known to have a perforated ear drum or if you have a current infection in the ear. If you are unsuitable for syringing, speak to your GP about having a referral for microsuction. Midwife clinics are held in Penryn on Tuesday and Thursday. If you are pregnant you will initially have a “booking” appointment with the midwife. You may wish to see a doctor or alternatively you can go to the surgery reception yourself and our reception team will take your details to pass on directly to the midwife team. The midwife will then contact you and arrange your first appointment. The booking appointment is usually at about 8-10 weeks of your pregnancy. The appointment takes about an hour and can take place at your home or at the clinic. The midwives can be contacted by ringing them on their direct line at Falmouth Hospital 01326 430070. If you require a private medical, please contact reception to book the appointment. These involve a private fee which is payable by cash or card in advance. We operate a 24 hour notice policy should you need to cancel or rearrange your appointment once paid. There may be a waiting list for seafarers and aviation medicals so please give us as much notice as possible. Letters written at the request of the patient and form completion are not covered by the NHS contract of services and have to be paid for in advance. These services are optional and we know that patients find them valuable. Please contact reception for costs and to make any requests. We may need to see the form in advance so the Doctor can assess if he needs to see you in person. We aim to complete these requests within 21 days of payment and ask that you bear that in mind. NHS matters are always prioritised before private work.